Gustave Le Bon was a French social scientist and philosopher. Although he was originally trained as a physician, Le Bon's primary contribution was in sociology, where he developed major theories on crowd behavior. The electric interests and abilities of Gustave Le Bon led to a full and productive life. Studies ranging from components of tobacco smoke, through physical anthropology, to atomic energy and structure describe the broad range of scholarly interests Le Bon maintained until his death. Because of this wide range, many have thought of Le Bon's work as shallow and dilettantish. No one in the course of a lifetime could possibly master all the disciplines observed in Le Bon's scholarly work. Nevertheless, men such as Sigmund Freud and Gordon Allport acknowledged the vital importance of Le Bon's work. While Le Bon made contributions to theories of social evolution and political revolution, probably his most widely known work concerned the psychology of crowd behavior. He stated that crowds maintained a collective mind and that the group mind was not simply a summary of the individual persons. Instead, a new distillation of traits emerged, primarily unconscious in nature, which reflected racially inherited characteristics. The consequence of these innate traits was a regression in the direction of more primitive, instinctual determinants of behavior, in contrast to more rational intellectual determinants. Le Bon also believed in the contagion of ideas in a crowd such that individual members, in a heightened state of suggestibility and with feelings of omnipotence, are subjugated to the will and emotion of the crowd mind. He also indicated that crowds are capable of engaging in positive social actions as well. Le Bon's ideas about social evolution and political revolution were related again to racial stock. History, for Le Bon, is a consequence of racial temperament; to understand the history of a people, one must look to the soul of the people. Just as a people cannot choose its appearance, it cannot freely opt for its cultural institutions. Le Bon's beliefs with respect to political behavior consistently revealed a basic mistrust of the masses. On the last day of his life he repeated the theme that where the common people continue to maintain, or gain, control of government, civilization is moved in the direction of barbarism. It was this view that earned Le Bon the occasional label of antidemocrat and elitist. An interesting incident attributed to Le Bon concerns his return in 1884 from an anthropological expedition to India, where he was commissioned by France to study Buddhist monuments. Marie Francois Sadi Carnot, then the minister of public works, was given an opportunity to choose for himself an artifact from a group Le Bon had brought back. Carnot chose a statuette which Le Bon quickly indicated was not appropriate because it carried a curse. Le Bon told Carnot that the owner of the statuette would be killed upon reaching the highest office in France. The warning was disregarded, and on June 24, 1894, Carnot, the fourth president of the French Republic, was assassinated by an Italian anarchist at Lyons. Le Bon was a physician, anthropologist in the field, and finally professor of psychology and allied sciences at the University of Paris. His best-known book is La Psychologie des foules (1895; translated as The Crowd: A Study of the Popular Mind, 1897). He died on Dec. 13, 1931, at Marnela-Coquette near Paris. 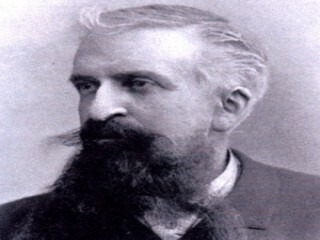 View the full website biography of Gustave Le Bon.